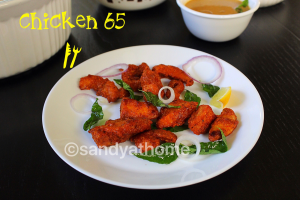 Chicken 65 is a popular appetizer/ side/ snack dish that is prepared by deep frying marinated chicken pieces. 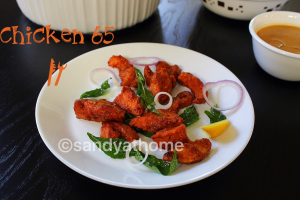 Chicken 65 recipe uses boneless chicken for its making which makes it much easier to eat. This recipe is usually spicy and is judged by the color. I have not used any food color to achieve the exact color but I have used good color and quality chilli powder (tikka lal) which gave the dish restaurant look alike output. 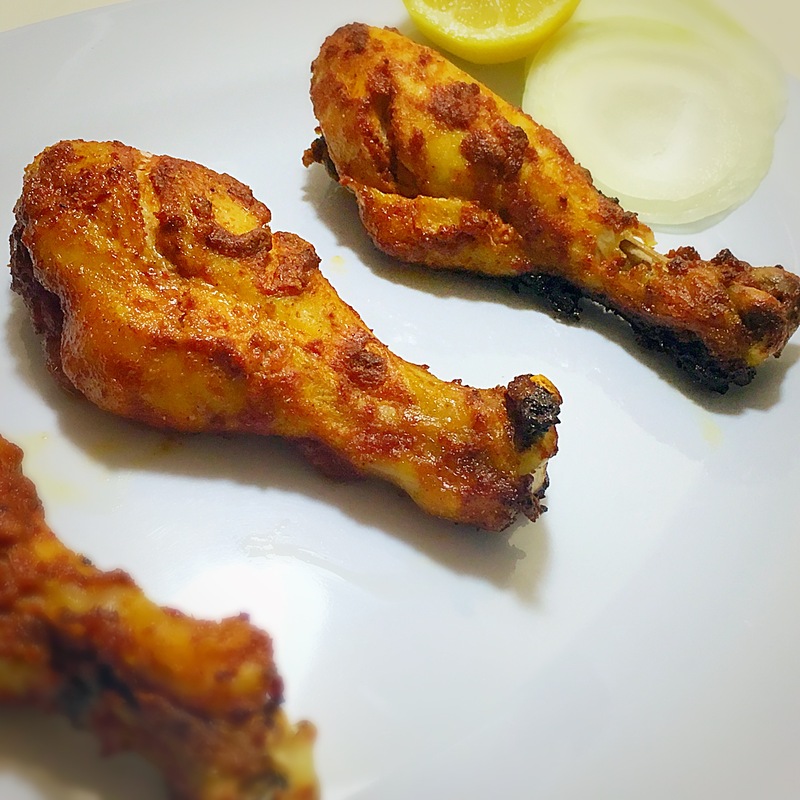 Chicken 65 needs marination of 2 hours minimum which gives the recipe perfect taste. 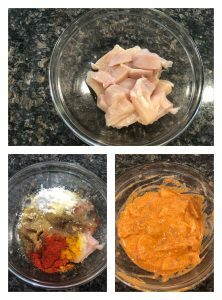 Butter overnight marination works wonders too, makes chicken soft, juicy and taste awesome. 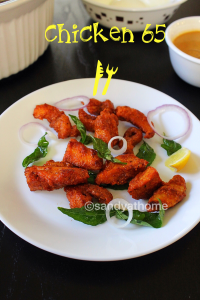 For the below recipe I have not used curd instead I have used few drops of lemon juice for that tangy taste which can be substituted with curd too. So lets get to the making!! So after 4 hours heat oil in a frying pan. Let it become hot and not smoking hot. Drop each cubes coated well in masala in the oil. Fry in low to medium flame. When chicken looks done remove it using slotted spoon and transfer it to a plate with paper towel. 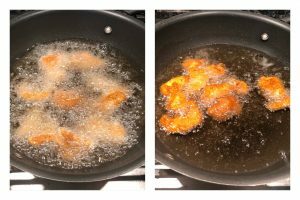 Repeat the process until all the chicken piece is done. Relish it hot!